Ready to put away the brown and pull out some purple? Add a dash of yellow for variety and you will be off and sewing your way into the new month. That's the perfect choice for March! Woohoo!! I was hoping for something bright and cheery! Perfect! I am sewing on a purple and green baby quilt at the moment. I know I have lots of other purples. Hooray!! I painted my nails the right color!!! Whew! I don't have a lot of purple but I do have enough to have fun. Yeah! Perfect!! Time to sort through some purple. 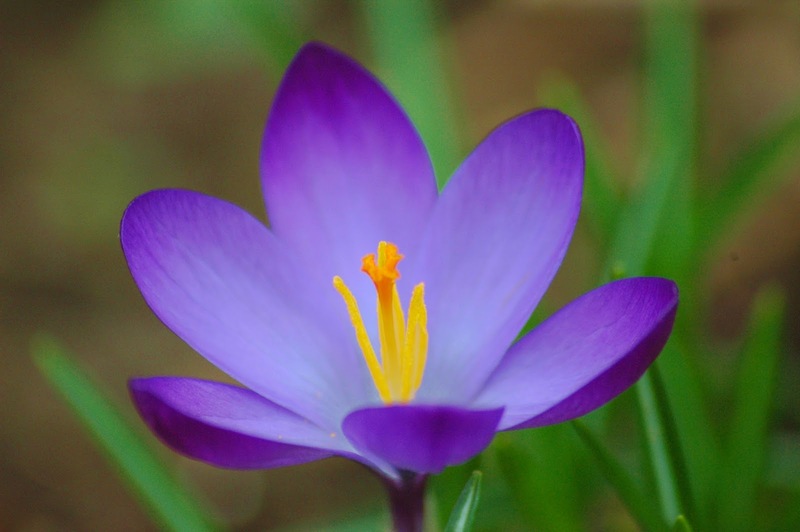 Purple crocuses - a sure sign of spring. Great colours for March. Lovely, looking forward to purple. Ooh, nice! I have a purple and grey quilt begging to be made from my scraps! Yay, purple! Excellent colour this month. I'm sure I've got plenty of purple scraps. uhh purple is a tricky color for me too just like browns were, should be fun though! Nice colour. But I don't think I have much of it. But enough to have fun. You know, I love minis, so maybe another microscopic quilt? Oh, goody, goody! Being from Louisiana, purple and yellow(gold) is my favorite combo!! Can't wait to get started!! My scrap supply is purple-challenged, but I will do my best!! Yippee... all my projects need more purple! Hmmm-- tricky, have to see what I can find!! Ready to cut and sew! Hopefully I can pull the purple out of my box of 4 patches and finish those up from the last time the color was purple! With any luck at all I will also have time to work on purple hexagons too. If I can work on both projects each month by color then maybe I can start moving along on those projects. Lovely! Hope your has been less crazy and you get time to stitch a bit. I love to hear from you. Thanks for leaving comments.